One of the biggest joys of being a sports fan is arguing about stuff; whose team is best, who are the best players, where the coach screwed up in last week’s game, etc. Turn on any sports radio station or sports network, and before very long there’s bound to be a list of some nature and people engaged in healthy debate about it. One of the most hotly contested of these lists is the top 10 NFL running backs of all-time. You’d be hard pressed to find any avid football fan that doesn’t have an opinion on the matter, and you are unlikely to find any two people who would agree exactly on the order. So what I’ve tried to do is take opinion out of the equation, not because I think opinion isn’t important in such matters, but because I thought it might shed some light and perspective on the topic. The first thing I did was pick out 26 important statistical factors to gauge the ability of a running back. This statistical data aides in the quantitative analysis of a wide range of skills, such as longevity, durability, versatility, explosiveness, consistency, production, and much more. Then I took the top 18 rushers of all time, everyone finishing their career with 11,000 or more yards rushing, and ranked them from 1 to 18 in each statistical category. From all this information I derived a score. Like in golf, the lower the score the better. Though most of the statistics headings used will be recognized by football fans, a few are a little more obscure. Below is a key for all the statistical headings and symbols you will see throughout the article. ()—You will see a parenthesis after each statistical number. This is said running back’s rank within the top 18 rushers of all time and not necessarily the rank amongst all running backs ever to play. 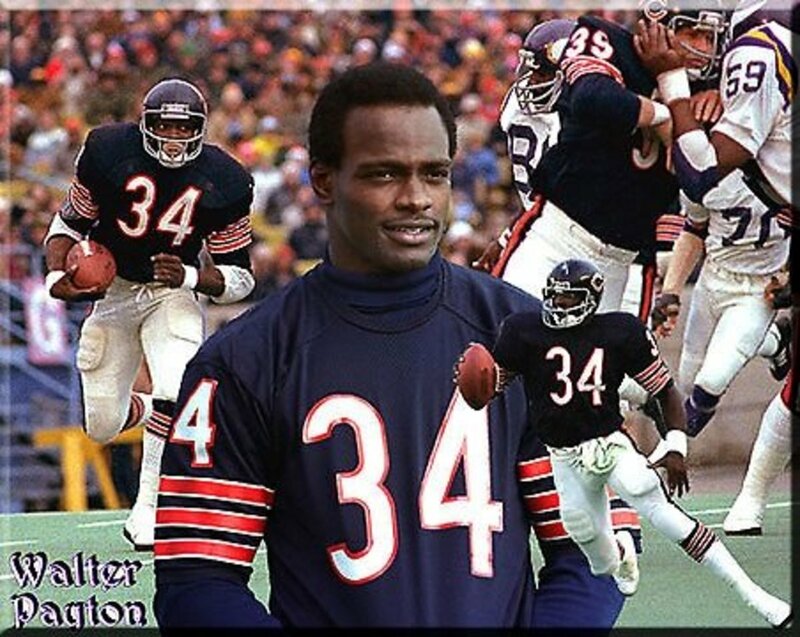 “Sweetness,” Walter Payton consistently ranks high in about every category one can imagine. 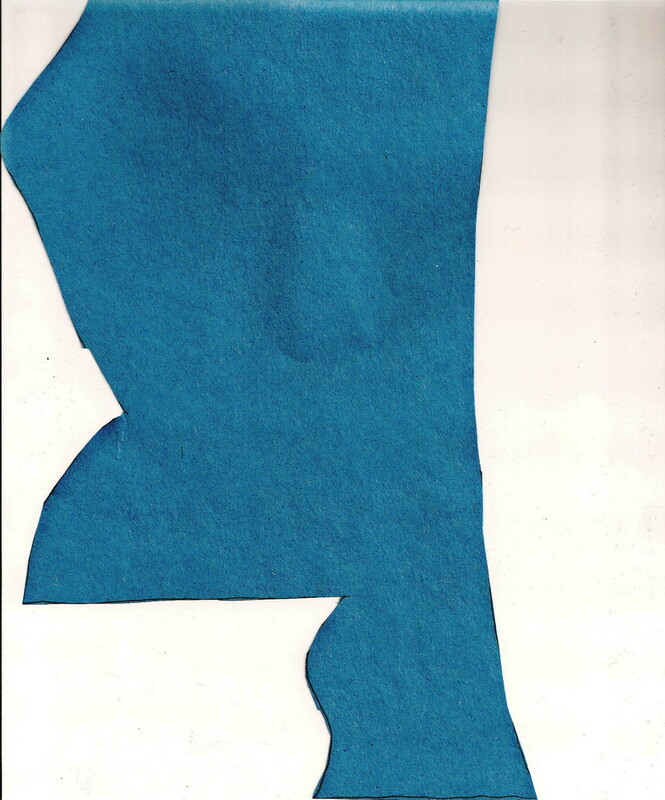 With his lithe body and paradoxical hard-nosed running style, he captivated fans for well over a decade. At one point he owned about every rushing record known to man, but he has since been passed. Still though, his accomplishments all rank high enough to put him 1st on a list of compiled data. Payton was also known for being a great person. When he died at 46, the NFL lost one of its greatest ambassadors and the world one of its greatest sports heroes. Surprised? I sure was. Not only does Tomlinson rank high in about any category you can think of, he rules the touchdowns per season category. Averaging almost 15 TDs a season, only Jim Brown’s average at 14 a season is close. He is also in elite company as a receiver, which helped him to secure the 2nd spot on this list. Tomlinson was a great player. Though I would not have put him this high, the data bears what the data bears, and he certainly isn’t a bad pick for number 2. As surprising as LaDainian Tomlinson was to me at number 2, Barry Sanders at number 3 was not. Sanders ranks in the top 3 on almost everybody’s list of greatest running backs. Having played only 10 years, his over 1,500 yards a season average trumps anybody else’s, as does his over 1,800 total yards per season average. Not factored into our statistical data, Sanders’ epically beautiful running style. I was surprised by the numerical gap between Sanders and our first two backs on this list, but his career receiving stats, which are not bad, are still low enough to significantly impact his score. 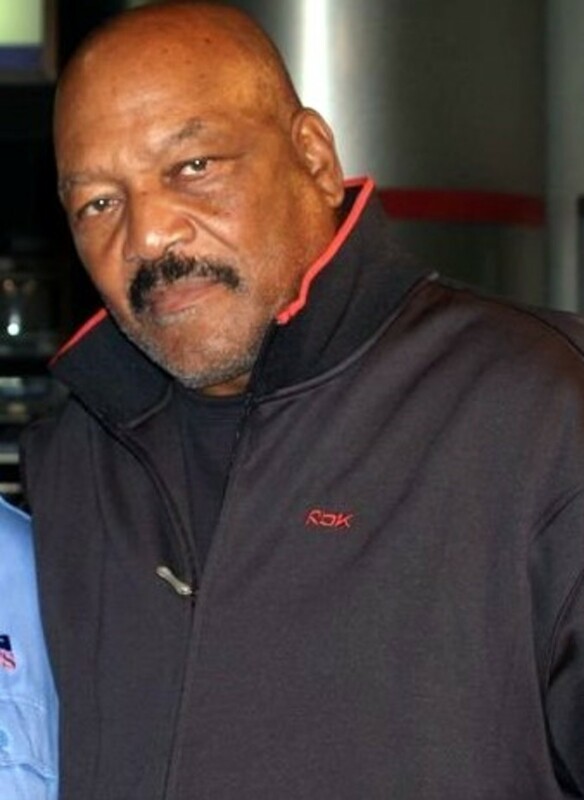 Considered the best ever by many, Jim Brown comes in 4th on our list. A bruising fullback who often sought out defensive players to embarrass, Brown was at a level all to his own in the late 50’s and early 60’s. Though he only played 9 seasons, which hurts him in the longevity department, he never missed a start in 118 games, which makes for a durability score second to none. The NFL only played 12 games a season in the first 4 years of Brown’s career and only 14 for the rest, so Brown pretty much owns every per-game record for running backs. When I first came up with the idea to do this list, I really thought Jim Brown would top it because of his per-season and per-game accomplishments, but while this data helps his score in some regards, the lack of games hurts him in others. Emmitt Smith, who played 15 seasons, owns all the marquee statistical categories: rushes, rushing yards, yards from scrimmage, and touchdowns. He was also profoundly tuff, playing many times with injuries that would have sidelined a lesser player, but he wasn’t flashy or explosive, and his statistics bear that out. Aspects like lifetime average per carry (4.2), yards rushing per season (1,223.7), best season rushing (1,773), receiving (414), and yards from scrimmage (2,148) all rank relatively low. Emmitt Smith was tougher than and could follow a block better than about any running back to ever play the game, and I expect that many of you have him as your all-time greatest running back, but on my personal list I have him only 1 spot higher than he appears on this statistical list. The main reason for this, he didn’t make me stand up and go “Wow!” as much as some other backs did. Marshall Faulk’s 12,279 career rushing yards ranks 10th all-time, a ho-hum number for the players analyzed on our list, but he is also the most dynamic running back to ever play the game. His almost 7,000 career receiving yards and 767 career receptions made Faulk a supremely dangerous player. He is one of only two players in NFL history (the other being Roger Craig) to rush for and receive for over 1,000 yards in the same season. His 2,429 yards from scrimmage in 1999 is second only to Chris Johnson's 2.509 yards from scrimmage in 2009 and is tops among all 18 players analyzed in this statistical ranking. 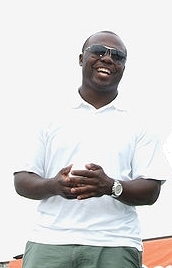 Marshall Faulk is somewhat of a polarizing figure when it comes to ranking running backs. To some purists, it may be that you don’t put Faulk as high because being a running back is about running the ball. To others, the position of running back is measured by looking at everything a running back is asked to do, among those things, catching passes. Either camp would find it hard to keep Faulk out of their top 10, though. Marcus Allen played a long time, 16 years, and scored a lot of touchdowns, 145, and his over 12,000 career rushing yards and 5,000+ career receiving yards puts him in very elite company, but his yards per season and yards per game stats don’t fair nearly as well. When I think of Marcus Allen, I think about what could have been, which is a strange thing to think regarding a player with well over 17,000 career yards from scrimmage. It is believed that power struggles between Al Davis and Marcus Allen kept Allen off the field more than he should have been. If Allen had been allowed to start over 68% of the games he played during his career, there is no telling what he might have accomplished. Take a running back not known for his flash, like Emmitt Smith, multiply that by 2 and you have Curtis Martin. 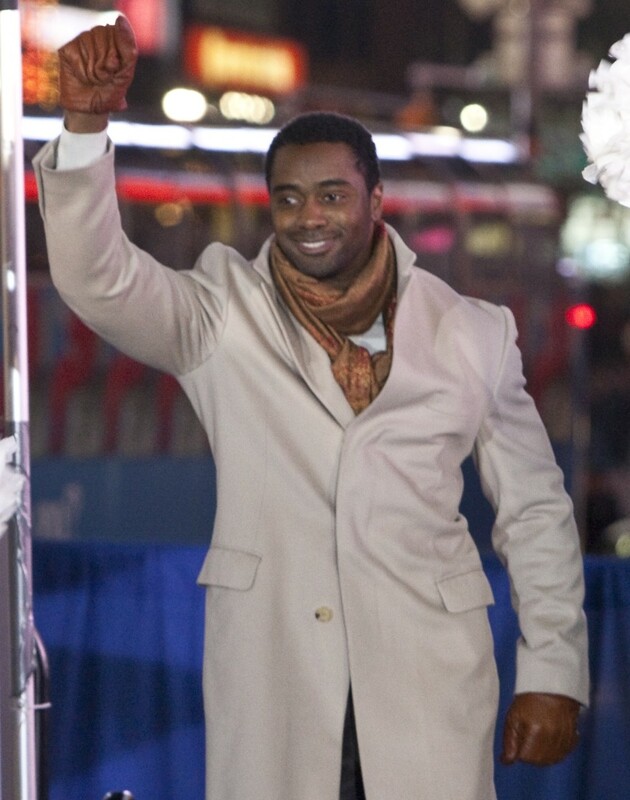 Curtis Martin was the type of running back who got his lunch pale and went to the factory every day. His over 14,000 career rushing yards ranks 4th all time, and Martin is a monument of athletic consistency. He didn’t score a ton of touchdowns, he didn’t catch a lot of passes, he rarely broke long runs, and he never had an epic number of yards in a single season, but he started over 94% of the games in his career, and if you simply had to have 3 or 4 yards, there have been few better. I would be surprised to see Martin at the top of anyone’s list, but he is definitely a top 10 guy. I think because he gained most his yards so quietly, people forget about him more than they should. 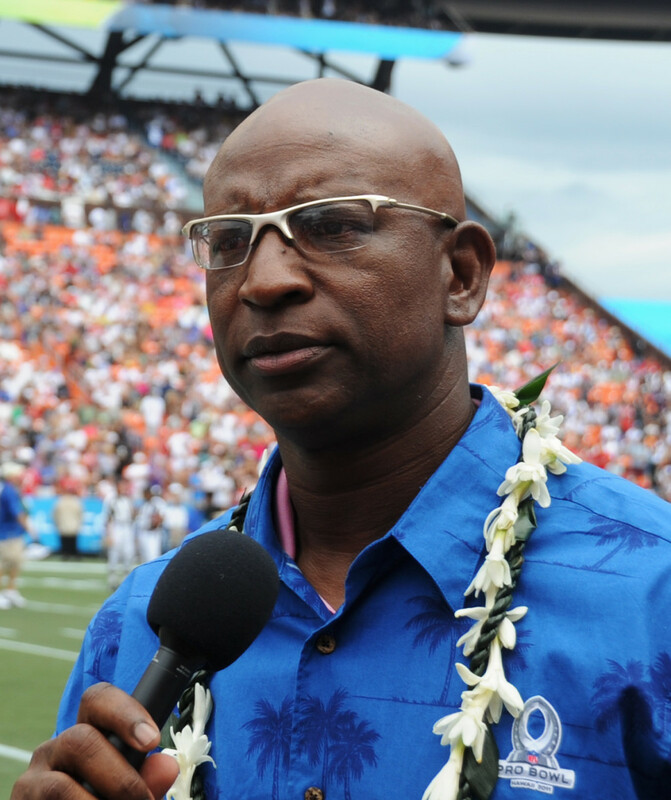 Over the early portion of his career, Eric Dickerson was one of the most statistically phenomenal running backs to ever play the game. His 2,105 rushing yards in 1984 is still the single best season by any running back. Though his rushing stats would eventually taper off in later years, Dickerson still amassed over 13,000 rushing yards in his 11-year career. Much is made of Dickerson and his lack of passion for the game of football. Though I think there is some truth in these statements, I think it is way over-blown. I don’t think you combine for over 13,000 rushing yards with no passion for the game, and if he did, in some ways it makes his accomplishments all the more impressive. With over 12,000 career rushing yards and 15,000 yards from scrimmage, James was an effective runner and receiver. He just beats out Tony Dorsett for the 10th spot on our statistical list. 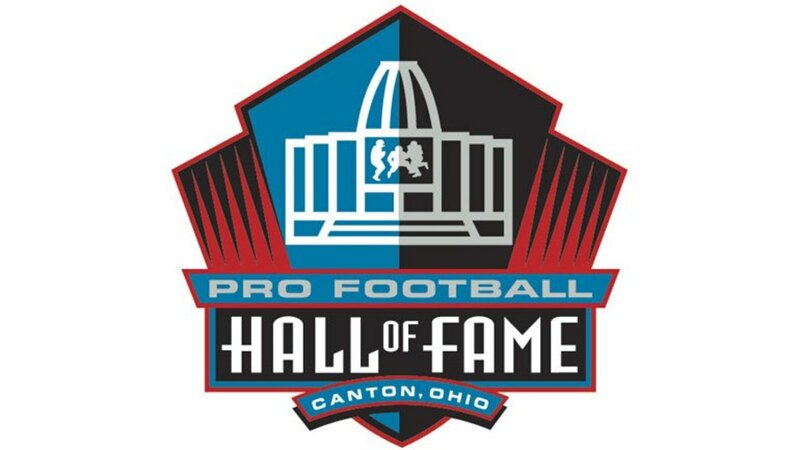 Edgerrin James becomes eligible for the Hall of Fame in 2015. Regardless of whether or not you believe he is a top 10 running back of all time, the fact that he would rank so highly on a statistical top 10 list of running backs certainly bolsters his campaign for a 1st year of eligibility 1st ballot Hall of Fame honor. 11. Tony Dorsett (Score: 274) Dorsett had a terrific career and no doubt is on many people’s top 10 list. He was an explosive running back with above average receiving skills. His 12,739 career rushing yards ranks 8th all time, and his 16,293 yards from scrimmage ranks 9th. 12. Thurman Thomas (Score: 299) Thomas was a dynamic back, finishing with just over 12,000 career rushing yards and well over 3,000 yards receiving. Several poor seasons towards the end of his career hurt many of his consistency and durability scores. 13. O.J. Simpson (Score: 316) Simpson’s career started slow and ended in non-spectacular fashion, but in the middle he had some truly fine seasons, none better than his 2,003 yard rushing effort in the 14 game season of 1973. 14. Jerome Bettis (Score: 327) Bettis’ 13,662 career rushing yards ranks 6th all time, but his career receiving statistics are so thoroughly anemic that he misses the top 10 by a significant amount. 15. Franco Harris (Score: 333) Probably the second greatest fullback ever, Harris' 12,120 career rushing yards is truly impressive. As a fullback, he didn't get all the carries, and averaged less than 950 rushing yards a season. This compounded with the fact the Steelers didn't throw much to their running backs (Immaculate Reception excluded) keeps Harris out of this statistics-based top 10 list. 16. Corey Dillon (Score: 335) Dillon had a phenomenal, yet short career. In only 10 seasons he rushed for over 11,000 yards, but he wasn’t effective catching the ball out of the backfield and didn’t do well in the yards from scrimmage category. 17. John Riggins (Score: 336) Riggins played a long time, 14 years, rushed for a lot of yards, 11,352, and scored a lot of touchdowns, 116, but he averaged less than 4 yards a carry, never rushed for 1,400 yards in a single season, and rarely caught the ball. 18. Fred Taylor (Score: 357) Taylor’s 11,695 career rushing yards is a formidable mark, but he was an inconsistent back, missing or not starting in many games during his 13 year career. His 73.6% games played and 65.9% games started is last amongst all 18 running backs analyzed. He was also not a particularly dynamic player and didn’t get in the end zone as much as many on our list. All things considered, if Taylor had stayed healthy, he could have put up some truly phenomenal numbers. As I mentioned before, it is interesting to break things down statistically, but at the end of the day, opinion matters. Below is my personal opinion list. I look forward to seeing your lists and commentary as well. There are several current players who seem to be having top 10 caliber careers, most notably, Adrian Peterson, who is on pace to shatter many records. I didn't include any current backs because there are none who yet meet the 11,000 career rushing yards criteria put forth for this list, and I am leery of including backs who still appear to have a lot of career left, because so many things can happen. That being said, if you are one fond of prognostication, feel free to include such candidates in your own lists. In addition, there are a number of backs who had outstanding careers and finished with less than 11,000 career rushing yards. I just felt the 11,000 yard cutoff was appropriate for a statistics based list. For example, Earl Campbell was a force of nature during his short career and amassed just over 9,000 career rushing yards. He almost made my personal list simply because there was such a "Wow!" factor in watching him play..
Suhail: I'm proud of this article. It does need updated. There are a few backs who have retired since I wrote it that would qualify for statistical analysis. Just can't find the time these days. I'm so glad you enjoy it. Markyce: Forte is amazing. I'm afraid he'll fall short of HOF because the committees don't give all-around backs the respect they should and he hasn't been on many good teams. He's probably a top 50 back of all time statistically. For the purposes of this article, I don't place backs officially until they are retired. Dropped by again to refresh my memories and to go through the list again. One of the best ever statistical analysis. Where does Matt forte land on your list. He has had a quiet HOF caliber career. He may not have the 11000 rushing yards. I understand that he is not top 10. But his ability to catch the ball out of the backfield for such a long time, should put him close. Biz Whiz: thanks for dropping by. There has been no duel threat (receiving/rushing) the likes of Faulk before or since. He certainly is worthy of the top 10. He graded out 6th on my statistical and personal preference poll. Also, if you had asked someone to create this list in 2001, I think Faulk would have been close to number one. I knew guys that would get in fights to draft him for Fantasy Football! Great point. TD had some monster seasons, but had bad luck with that injury. Bo Jackson is another "What if?". Sam: the nature of this list, because it uses a statistical formula, doesn't account for greats like Sayers, Davis, and Campbell. That isn't to diminish their accomplishments. They were amazing while they were healthy. Great article. Gale Sayers didn't make the list because of injuries, which reminds me of my favorite running back, Terrill Davis. 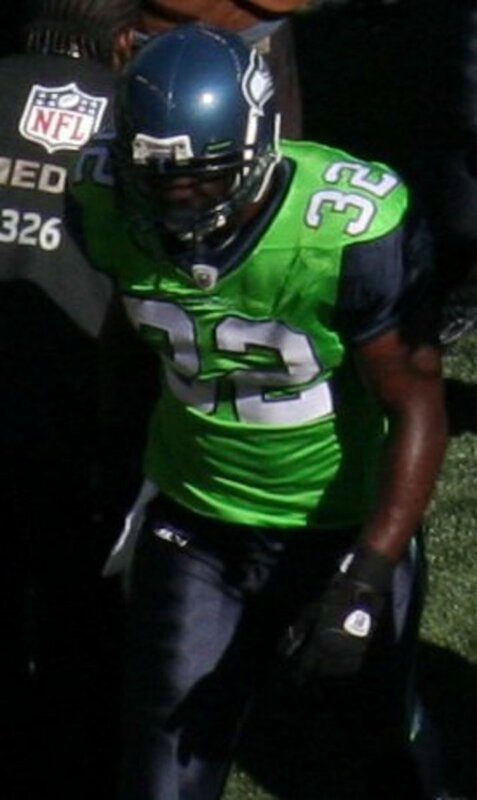 One of the few running backs that rushed for over 2,000 yards in a season but had his career cut short because of injury. Suhail: glad you enjoyed the ranking. Thanks so much for dropping by. This is a great list. When I started watching NFL in 1984, Walter Payton was the guy that I liked immensely even though being a Giants fan it was oxymoron to love a guy from Bears. And yes, I was also surprised at LaDainian Tomlinson occupying that high a rank as #2 on the basis of statistics alone. You brought some great memories back for me. Thank you for that. The Big Whiz: thanks for the positive response. The article actually needs to be updated. There have been a couple of RBs to meet my criteria since I wrote it. This is a very interesting Hub. I have never seen RB's stats analyzed like that! Great job. You did your research on this one. Missing Link: there are lots of reasons why Brown is a favorite. In this particular statistical list he doesn't come out on top, but there are many who have him first. Paul: those old time players did a bit of everything. That is just one of the many reasons why old time players are ill represented in a purely statistical list. My favorite is Jim Brown. Have you ever watched old tape of some of his runs? He would be surrounded and held by 4 people or so but would somehow break out of it and many of his other runs were sick too. I don't disagree with your list I guess---just sharing a thought or two. The Browns won several titles (at least one) with him prior to the Superbowls. I have Jim Brown's rookie card from 1958. Thanks! I applaud you for doing a great job in coming up with this list based on statistics. However, I think a back's value to a team in winning championships is also very important. Yes, Emit Thomas of the Cowboys should be on the list because he helped the Cowboys win Super Bowls. Jim Taylor and Paul Hornung of the Packers were two of the best backs in the value they gave to Green Bay. Hornung was also a kicker and great at the half back option pass due to his quarterbacking experience at Notre Dame. Voted up as interesting and sharing with HP followers. They've had a lot of exciting and innovative teams, but yeah, I can see how for a fan it might be even more disappointing to like a team that obviously has talent and underachieves than a team that just isn't very good. Thanks for stopping by again, Sharp Points. You know I believe that maybe he is not mentioned with them because the other legendary players teams were more successful than LT's Chargers? I mean as a lifelong Chargers fan, I am not positive that this is true, but it feels like we are one of if not the most consistently disappointed fan base? 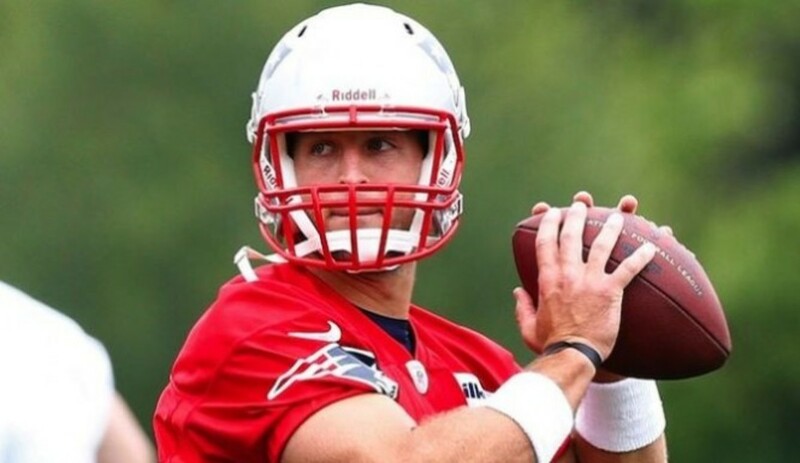 They aren't one of those teams that falls between terrible and mediocre every year, but they aren't a powerhouse team such as New England either. No no no no noooo. Instead, every year they do well, then mess up a few games, then make a come back, just to miss the playoffs by one game. Even worse is the other half of the time they make the playoffs, win a game and get the fans hyped up yet again, just to be disappointed. Look at me venting on your comments section, my bad! This is but the sad reality of life as a Chargers fan. TR: thanks for the feedback. Barring another social misstep or injury, Peterson should reach my set criteria to be ranked by next season. My favorite were Barry Sanders, Emmit Smith and, Marcus Allen. I think we could see Demarco Murray and, Adrian Peterson on this list before it's all said and, done. Sharp Points: I think he's the most significant Charger ever. Fauts and Winslow are the only other big names that come to my mind. I was still surprised Tomlinson graded out so high on my scale. He isn't usually mentioned in the same breath as Payton, Brown, and Sanders. Maybe he should be? Well written and informative article! Two thumbs up! Oh and as far as me being surprised by LT being #2? Not at all! He's the reason I love watching football today. One of the greatest Chargers of all time, if not the greatest. Adrian Peterson was a shoe in before all his behavioral downfalls. Now I'm not sure if he'll ever get his forward momentum back. Frank Gore and Matt Forte might find themselves on the list by the time they retire if they stay healthy. The last two players on your list surprised me. Its not that they weren't great, but I didn't know they were that good. Seeing their stats surprised me. Is there any current players that look like they are working their way into your list? Earl Campbell almost makes my personnel top 10. As far as my statistical list, he doesn't make it because injuries cut his career short, lowering his career output. But as far as one of the greatest to ever play, at his best, he certainly was that. You really are a statistician! I was interesting in reading where you would have placed Earl Campbell and why. My hubby watches pro football and I only catch some of it occasionally. The premise for this article was to include players who exceeded a certain statistical level. Allen exceeded them, so he made the analysis. He made my personnel list, barely, because he did play 16 years and he does have a Super Bowl MVP. In addition, no telling what he may have done had he stayed on Al Davis's good side. That being said, I see what you're saying. I might've picked a more consistent back for number 10. If I went with plan B, I probably would have had Earl Campbell at 10. I guess my point is that ideally, running the ball is to bring a source of stable, consistent yards and time of possession to an offense. We need to sustain drives with it. Of course, we've seen a continued improvement in the short passing game in football, so this is somewhat taking the place of running. Running the ball has become somewhat of a lost art. I'm going to move into the "could-ofs" realm here, but I think it's fair to say that on a better team, better coached, with a better quarterback, and more consistent blocking, Barry would have A) not retired as early, B), not have lost as many yards, and C), we would probably not be having this debate, as there wouldn't be a lot of records standing. For those who deride Barry for not hitting the hole, they obviously haven't watched enough tape, or seen enough games. 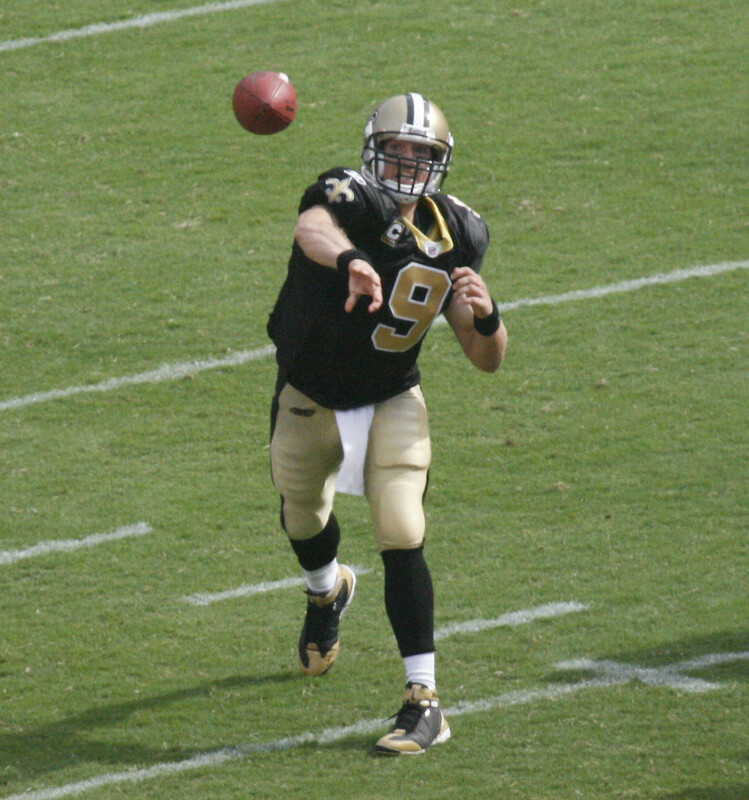 True, he would dance around, and lose yards on plays where Smith, Allen, and Payton may get 1-3 yards, but then again, you can't blame the back if the first contact often occurs when he is handed the ball, when the other team is able to consistently stack the box, hold their gaps, and perhaps even have the luxury of assigning a spy to Barry. In that case, a good offense should dice that defense up with the passing game, and for those who watched, the Lions just plain couldn't. Why? Because the Lions line, even in their good years, was not the Cowboys O-line of the '90's. Their coaching wasn't nearly as good, and their QB play wasn't very good. Anybody who remembers Scott Mitchell knows that he wasn't exactly the greatest, and he had the best numbers QB-wise for the Lions during that period. We obviously can't go back, but it's hard for me to discount the difference between who Emmitt played for, and who Barry and Walter played for. Not taking anything away from Emmitt. I thought Emmitt was a great, very versatile back that made a huge difference for his team. He was also the undoubted beneficiary of playing for one of the greatest football teams of all time. On balance, I think for that type of back that Emmitt was, I personally thought Marcus Allen and Walter Payton were better. To address some of the common things said about Barry. "He was a quitter." All professional athletes are quitters at some point, even Brett Favre. 10 years was enough for Barry. Throughout his career, high school, College, and into the pros, Barry wanted to win, and didn't really care about stats and accolades. At the end, I think it's possible that he really wanted a trade, as he didn't see a winning future with the Lions, but he says that wasn't it--who knows? I only blame him for the way he quit...I don't blame him for quitting. The Lions have had 1 postseason win in the last half century. That's not his fault. "He was a dome-queen whose stats were padded by playing indoors." BS. Soldier Field is one of the crappiest fields in modern football history. And he torched us in Chicago, and he torched Tampa Bay, and he torched both Green Bay and San Fran too. History is replete with games played outdoors, on grass, in games that mattered, where he excelled. "He choked in Green Bay; he couldn't win the big one." The Lions have been unable to win the big one. If one guy turns around a franchise, it isn't a running back. It's a coach, or a quarterback, often both. Walter didn't win because he got better, Walter won because they put a team around him. Same with Emmitt, same with Marcus. AP recently has reminded us that one great RB alone will not get a team past the first round. It's more than for highlight films for why people remember Barry Sanders, although it's hard not to love a little guy who made people look consistently silly, and never taunt them while doing it. His talent is unmatched in the history of the game, he was the only one to run like that because he was the only one that COULD run like that. W Ellis: Wonderful insight. Barry could gain you fifty, but he could just as easily lose you 5. It's hard to say what he would have done with a grind it out offense, or if he would have been a good fit. There simply isn't any evidence because he never played professionally for that sort of team. He wasn't an awful blocker, as some think. If you watch the videos, he chopped the lineman coming through at the knees fairly effectively. He certainly wasn't imposing at that capacity, but he did a fair job. I love the statistical analysis used here, it seems to work well. Great job on this! My sentimental favorite is Barry. Bar none. This coming from a guy who lives in Chicago, and grew up worshiping Payton. Barry finally won me over on one play... where he spun over two defenders on the right side and went in to score on my beloved Bears. When that play happened, I stood up...and was speechless. Barry made more of those types of plays than anyone. He was the most gifted runner to ever play the game. Sure, he didn't look to run people over, but if you that kind of ability, why would you? I think he might be the most agile athlete of over 200 lbs that I've ever seen play any sport. He also didn't put the ball on the ground a lot, something that gets overlooked. All that said, if you're going to build an offense around a guy, it might be better to build one around guys like Payton, Smith, Allen, Tomlinson, Faulk, Craig...guys who were more versatile catching and blocking (Barry was an underrated receiver, but not a great blocker), and could convert that third and three with a little more regularity. Running the ball is very much about control, keeping the other team's offense off the field, killing the clock, punching it in from the 2 yard line, etc. That wins you football games. So if I'm building a team, I can simply take Payton at HB, and Barry can be my return man. Problem solved. 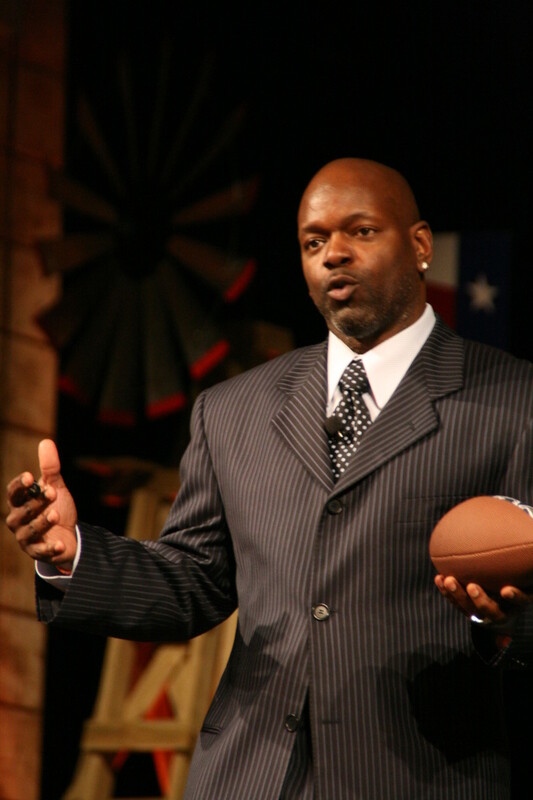 The famous argument is, how would Barry have done with Emmitt's Cowboys? Honestly, it's hard to imagine, but I think Emmitt was perfect for the Cowboys-- and was a much of a piece of their success as any player. Barry was Barry and did what he did on (for the most part) pretty bad teams. Like it or not, what Barry did against 8-9 in the box is what made him a legend. 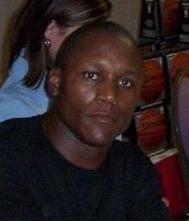 Walter Payton is my second favorite back of all time, but Barry Sanders will always be my all-time favorite. I agree completely. I wanted to include fumbles and fumbles lost, but I got conflicting statistics before 1991 from various statistical sources, which led me to conclude it wasn't an officially kept statistic before 1991. I could be wrong, but I decided to air on the side of caution and leave them out. If I had access to statistics I knew to at least be highly accurate, I would have included them. I'm sure every team kept this stat, at least for their own records, but I can't compare stats when I only have them on some of the players. I think ball control should have played a part in your analysis. If you're fumbling a lot you're killing your team. No disrespect to Dorsett or Franco (among others on your list), but goodness they put the ball on the ground a lot while a back like Curtis Martin hardly fumbled at all. As a runner, Czonka may be the third best fullback to ever play the game, but he wasn't much of a receiver and his statistical output isn't quite that of many of the others on the list. Earl Campbell was a monster in the backfield, and is one of my all-time favorites to watch highlights of, too bad his career ended so soon due to injury. I found the article to be interesting but I think they left out one great running back and that was larry Czonka, he was not very fast but he was very strong, Franco Harris was my all time favorite, and I thought that Walter Payton was great also. Jim Brown by the tapes that I saw was very impressive on how he would carry several players on his back before he would be taken to the ground, Earl Campbell had that quality but the smoothest running back was Eric Dickerson he moved so effortlessly as a running back. KevinTrusty: Like I mentioned, the formula I came up with to judge the all-time backs was developed before I crunched the numbers, to provide an unbiased result. Sanders is my favorite back, but if somebody had to win besides him, I'm sure glad Payton came out on top. Kevinjackson47: Gore has had a very nice career. It will be interesting to see where he finishes. Thanks for the comment. Being a Chicagoan I didn't have to read past #1 lol. Walter was the best I've ever seen (all bias aside.) Everyone on this list is amazing but there has never been anyone quite like Sweetness before, or since. Barry sanders has to be the greatest of all time! He ran behind the worse o-line and his QB was Scott Mitchell. 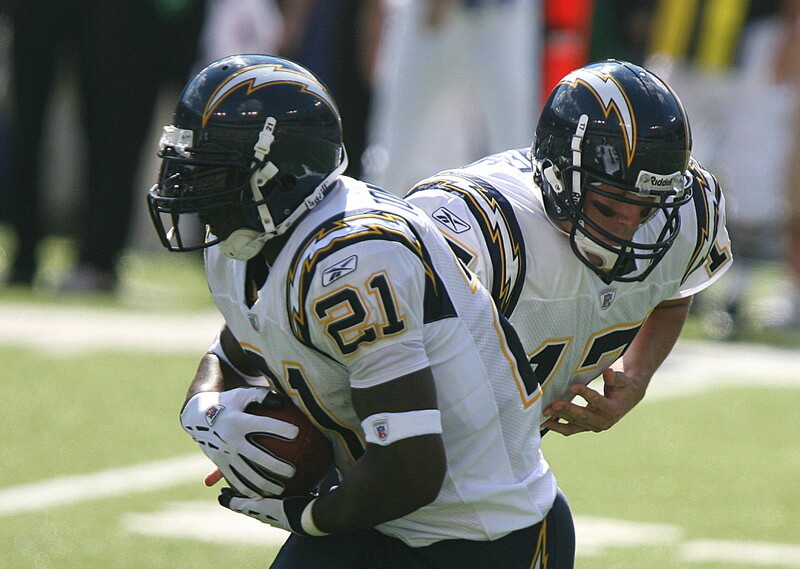 Frank gore is one of my favorites and is the #1 RB in SF history. Gore played most of his career behind a lack luster o-line and still was able to produce and make the pro bowl. Mosaicman: Thanks for the comment and I'll be sure to check your articles out. I can see someone putting Simpson at anywhere between 8-10, but I have a hard time seeing him all the way up at 4. Many don't know that when he broke the 2,000 yd mark it was in a 14 game season, and it is certainly the greatest rushing performance ever in a season, but the overall body of work isn't quite as impressive to me as many other players. Adrian Peterson is a fabulous RB, and projections put him ahead of about everybody before he is done, but I worry about his longevity because of his running style. Alphadogg16: First off, on my personal opinion list Earl Campbell would be 11 or 12, probably 12 after Dorsett. The main list in the article is stats generated, and it's hard for a guy like Campbell, with a short-ish career, to fair well on it. Second, Gale Sayers was a truly epic player, but he had so few years due to injury. It's hard for me to put him high, personally, because part of being a great all-time back is staying healthy, and 5 semi-healthy seasons in the league isn't a big enough sample. For the time he was healthy, might Sayers have been the best that ever was? Yes. But the other players on the list are in the same neighborhood, but they did it for 9, 10 or even more years. In response to Brown and Payton, Brown is the top guy on many people's list, but don't sale Payton short. In my opinion, he played against better talent than Brown. I've had the opportunity to watch a lot of great RBs in my life, but it was funner watching Sanders than any of them for me personally. Very well written. Great topic. When debating great players in the NFL, I usually don't rely solely on the stats. To me, Thurman Thomas was a better back than Edgerrin James. I would actually put Dorsett and Harris ahead of Dickerson and Martin despite the numbers. Maybe it's because they played on winning teams. Not sure. But going with my gut on this one. Voted up. Keep up the good work. For the most part, my personal list would look very similar. I agree with the top 3. I would put OJ Simpson at #4 and move Emmitt to #5. I think when it is all said an done, Adrian Peterson will definitely be on the top 10. The question is how close to number 1 can he get? Excellent Hub. Check out my hubs when you get a chance. Very nice list Larry Rankin, I've been a Bears fan for 35 years, so of course Sweetness has always been one of my favorites, but I think Jim Brown was the best ever, hands down. Gale Sayers couldn't make your list?? Earl Cambell? Interesting analysis. I go with Barry Sanders as the best I've seen.